Here’s my 2016 update to the Christmas music post. Christmas music is meant to be sung with other people, so you’ll notice that many of these albums are live recordings. The freshman release from my church’s worship leaders. A combination of new songs and old favorites. I was part of 15 concerts that featured some of the songs from this release during this year’s Christmas Village. I particularly like the original Son of Light. The title track He Shall Reign Forevermore is the best one on the album and I think it’s going to be a classic. It’s a reworking of the old carol In the Bleak Midwinter with a little bit of Handel’s Messiah in it. The whole album is great and is a great follow up to his earlier Christmas album. Another great album that I was a few years late to the party on. Some great new songs and good renditions of old favorites. I like the opening rendition of O Come Let Us Adore Him and the title track of We Have A Savior. Another good new one is Our King Has Come. 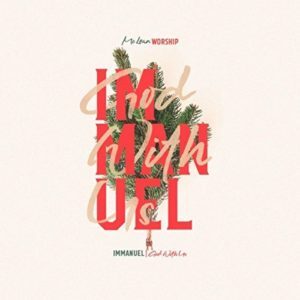 Good albums that take Christmas carols and blend them with better known worship songs. Check out Angels From the Realms of Glory / Emmanuel. A couple of years old, but still frequently in my playlists. Particular favorites include Joy to the World and O Come All Ye Faithful. Handel’s Messiah as it would have been written and performed by an early 90s gospel choir. The whole album is interesting, but especially great is the Hallelujah Chorus. Released over 15 years ago, this album is a Christmas classic to me. Great arrangements. Check out O Holy Night and When Love Came Down.